SINGAPORE - Flag-loving Singaporeans with the national banner draped outside their homes and plastered on their cars can now indulge their sweet tooth by tucking into desserts and drinks adorned with the crescent moon and five stars. As August comes round again, local eateries are arranging themed menus and liberally topping off their confections with red and white icing. Here are some of the sweet treats on offer. Owner Dewi Imelda Wadhwa of And All Things Delicious has brought back the halal cafe's SG50 National Day cake for the nation's 51st birthday. The gula melaka cake, which is covered in white vanilla buttercream and red strawberries, comes in three sizes (priced from $135 to $275) and is topped with a glittery gold moon and stars. At $9 a slice or $58 for an entire 1kg cake, the peach jelly and almond sponge cake at SweetSpot at Marina Bay Sands also comes glazed in red, with a white feuilletine crescent moon and five stars resting atop. It was launched on Monday (Aug 1) and will be available until the end of the month. One Third Pastries' National Day cupcakes start at $18.90 for a dozen topped with red cream and white stars. Or, for $51, you can get yourself a dozen cupcakes decorated with icons such as the Merlion and the Singapore Flyer. If you prefer your sugary treats to be a little subtler with the flag imagery, though, online patisserie Cat & The Fiddle is also offering a month-long discount of 20 per cent on its celebratory Milo cheesecake ($32.90) and "King of the Mountain" durian cheesecake ($38.90). And there's ice cream galore for those who want to beat the heat. Ice cream parlour Udders launched its chendol ice cream flavour ($11.70 a pint) last Saturday at all outlets, except Gardens By The Bay. Soft serve store Overrun in Baghdad Street has also announced that its signature chendol flavour will be accompanied this week by a red velvet soft serve with mini marshmallows and cheesecake sauce ($6). 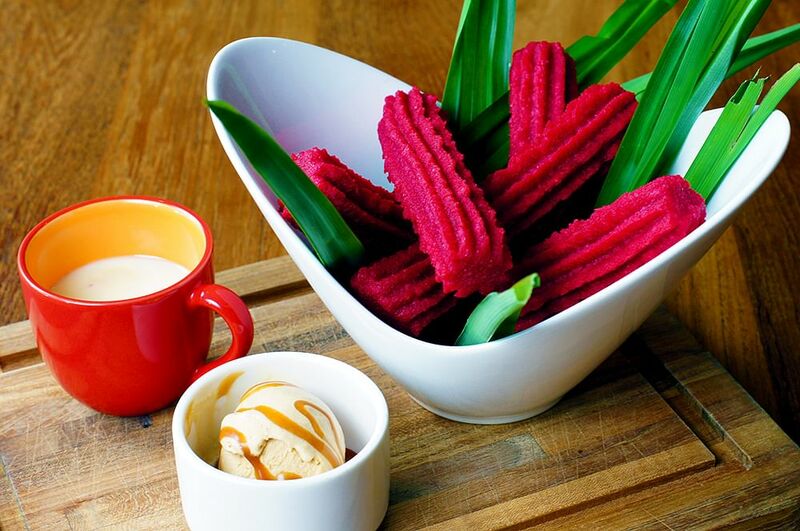 Fusion desserts on the local scene include red-dyed "churros a la Singapur" with pandan coconut and condensed milk sauce and salted caramel gula melaka ice cream ($16), available at My Little Spanish Place's Bukit Timah outlet from Aug 5 to 9. Over at the Shangri-La Hotel, the Lobby Court cafe's August afternoon tea menu ($42++) features mash-ups such as orchid macarons and pandan scones. The Esplanade-shaped kaya toast baked alaska at CUT by Wolfgang Puck is not a new creation, but it closes off the restaurant's three-course National Day set menu ($65++). For those looking to spike their booze with nationalism, Da Paolo BistroBar in Rochester Park has concocted an iced chendol rum cocktail ($16++) as part of its National Day menu. Cocktail bar Caché, located inside Izy Dining & Bar on Club Street, has not one but three different cocktails ($22++) based on the flavours of local cuisine. 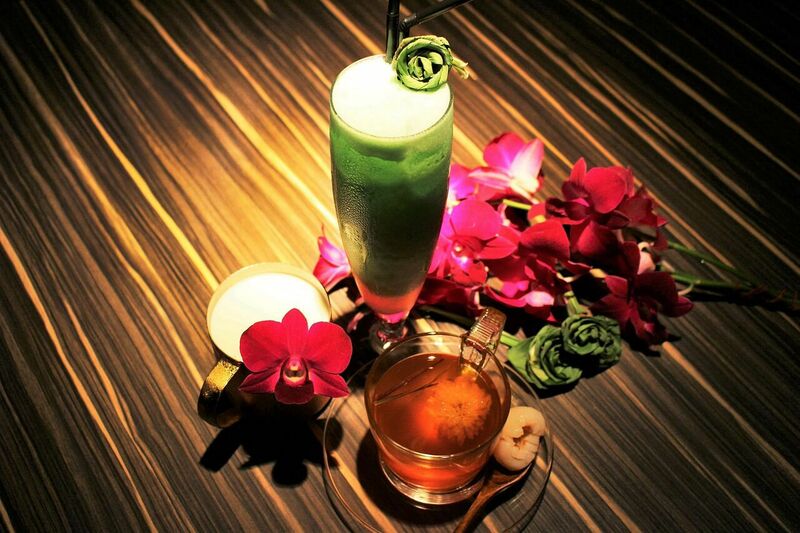 For Pandan's Sake blends coconut rum and a reduction of sake and kokuto sugar with pandan paste, pineapple juice and coconut cream, while Tofully Annin's ingredients include vodka, apricot brandy and milk, and Cha Cha Cha is inspired by masala chai with rum, lemongrass and chrysanthemum. All three Caché cocktails are available through the end of August. Have all these newfangled creations gotten the better of you? Never fear, because other local dessert-makers are hewing to Singapore's roots with confectioneries that conjure up memories of yesteryear. Some restaurants also have National Day buffet spreads scheduled for Aug 9, with a variety of local desserts in the line-up. At York Hotel, the White Rose Cafe's "tunch" includes beancurd, ice kacang, and durian, sweet corn or peanut pancakes ($36++ per adult). At the Carlton City Hotel, the buffet dinner menu features muah chee, durian pengat and Nyonya kueh in the dessert section ($68++ per adult). Joe & Dough cafe, which has outlets across the island, is dishing out Old School Tea Sets for $6.50. 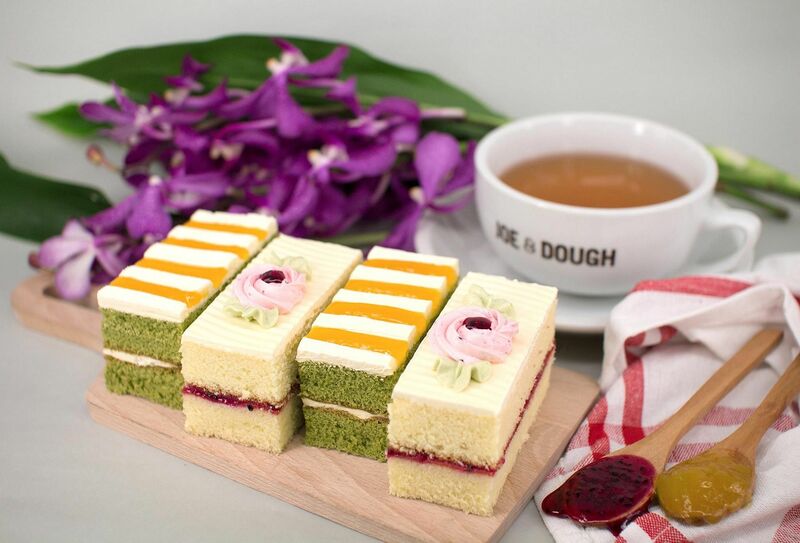 The tea sets comprise a cup of tea and a slice of old-fashioned buttercream sponge cakes - with dollops of jam from local company GSH Conserves.